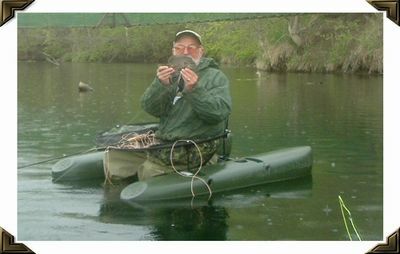 A great way to fly fish. 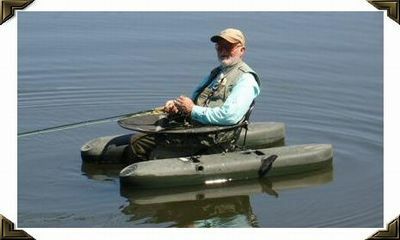 My fishing buddy Larry Wallace in his inflatable kick boat. 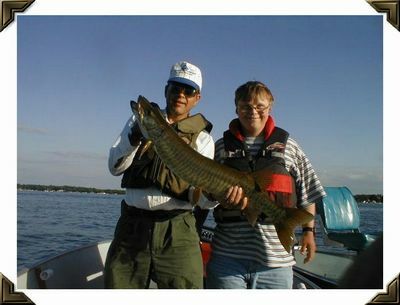 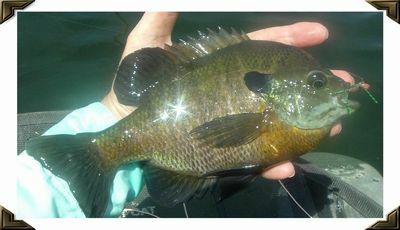 Bluegill taken on a "Plan B"
Two happy anglers with a Tiger Musky taken with a Bunny Fly. 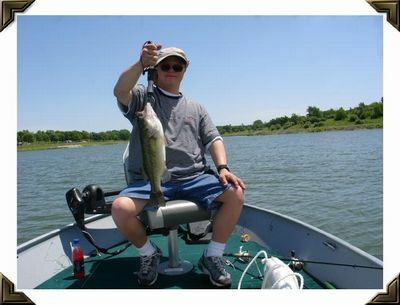 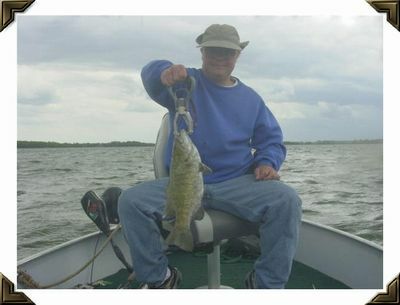 David Blietz with a nice Bucket Mouth taken on a local lake. 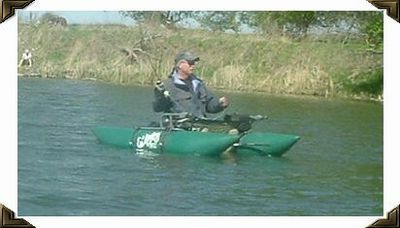 Yours truly in my Hobie Float Cat. 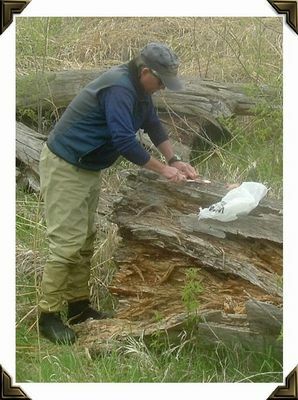 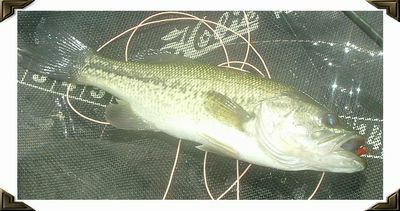 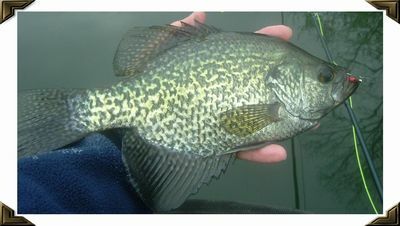 A great way to fish my local ponds and small lakes. 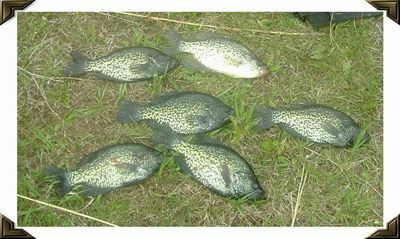 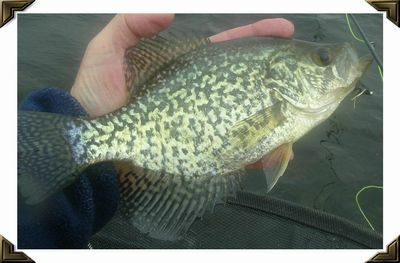 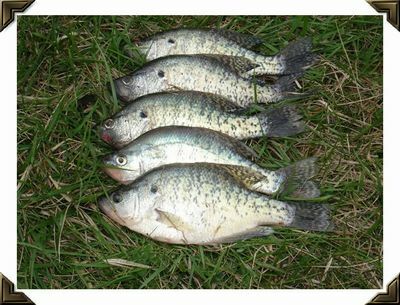 A nice mess of Crappies taken on a Crappie Jig. 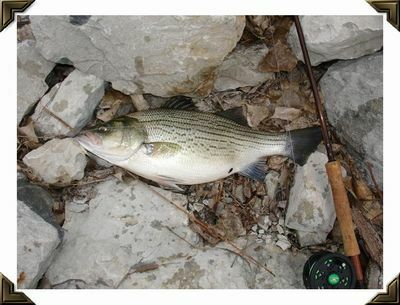 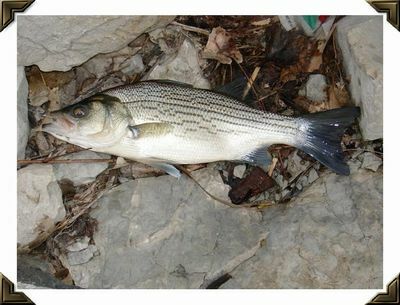 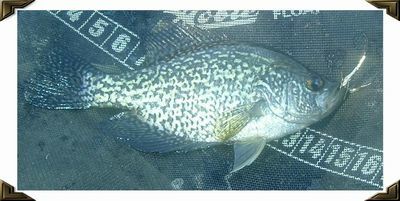 Lake Manawa Wiper taken on a Bunny Strip by my fishing partner Jim Blietz. 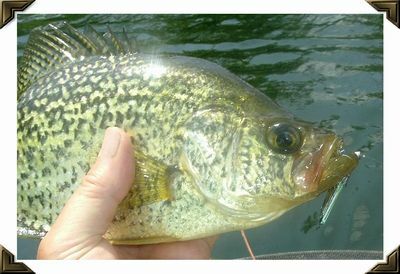 Football shaped Wiper taken on a Bunny Strip by Jim Blietz. 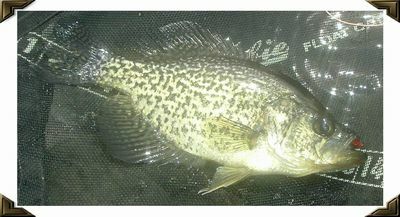 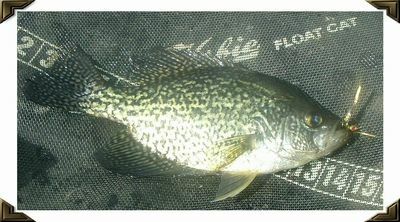 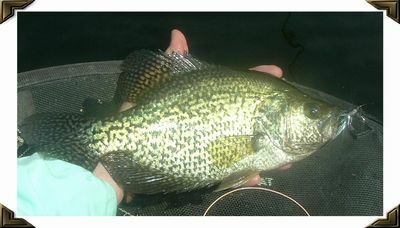 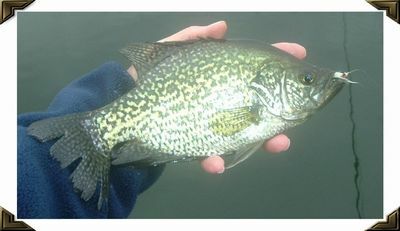 Nice Crappie taken on a "Plan B"
Crappie taken on an Orange Teal wet fly. 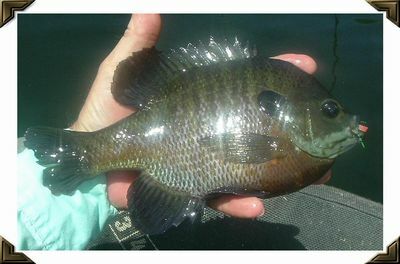 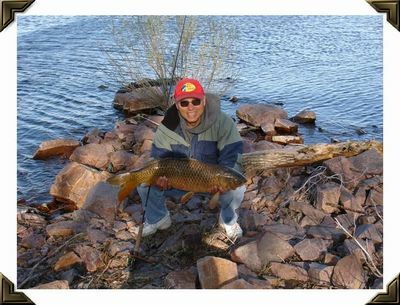 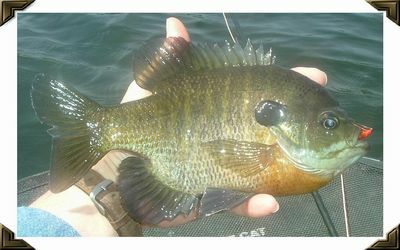 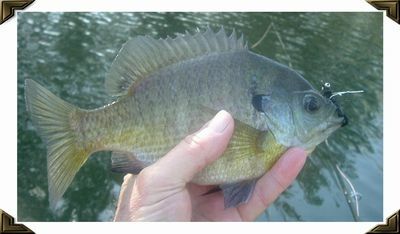 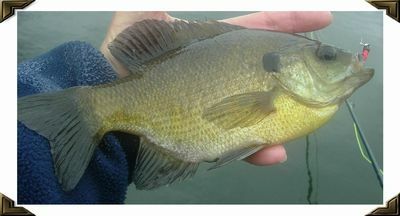 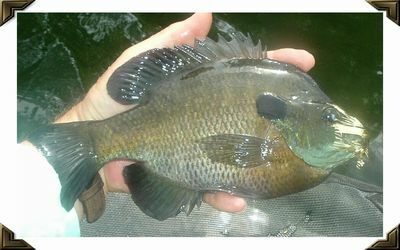 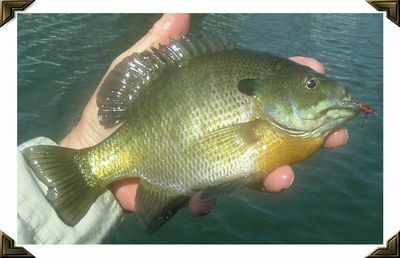 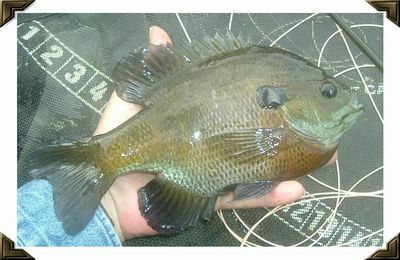 We catch big Bluegills like this all the time on our "Pond Of Dreams"
Larry Wallace cleaning a bunch of Crappies. 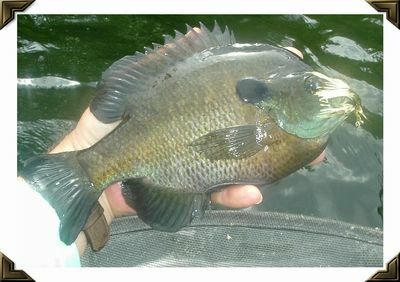 Beautiful colors on this ten inch fish.